MicroTrends is delighted to announce after long term planning and trialing phases a partnership with ethical, real deal trader’s Carlos Diaz and Juan Alexandrino of Algo Futures Trader! 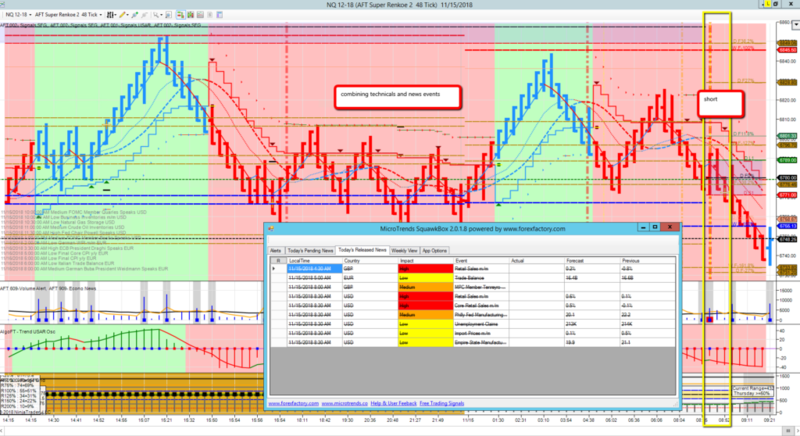 As a note MicroTrends always has and always will be 100% loyal and specializing to the NinjaTrader Trade Platform – there is no better charting system anywhere and combined execution/order management. So how and why did that all happen? Time in 2017/2018 until now and beyond will be taken up by the near sole focus of working with ClearPoint Capital Futures Hedge Fund (CPC) for whom I trade with and developed a portfolio trading system utilizing NinjaTrader 8 and other Microsoft enterprise server technologies to create and ongoing swing trading system “CPC Simba” – more project details here. In later 2017, we had no choice but, to stop offering retail services directly, 1000s of free software users and no time to work on our own product lines, so we had to change the model to free up our time and realize our own goals instead of running what was merely a charity. So we have now partnered with ethical real deal traders who mentor and coach also and they will provide any software to retail traders, wishing to day trade and swing trade Futures stock indexes and energies with the NinjaTrader trade platform. During 2017 we were able to launch a project “AFT” which saw some new trading system components as well as an evolution of some of the best/favorite components in our NinjaTrader Development Projects as used in the MicroTrends NinjaTrader Framework, Woodies CCI Club and BlueWaveTrading whitelabel products. MicroTrends said good by to BlueWaveTrading in 2017 when they went their own route and now maintain and sell the MicroTrends/BWT AutoTrader code base independently of our development or software license dues, Woodies also ceased an active partnership in 2017 as they wound down their trading room. This was great news we are no longer under restriction of distribution or creative direction and free from conflict of sale on our white label vendor versions, we were suddenly able to re-use our own proprietary USAR trend trading components and Fib Grid components with the aim of our own purpose built trading system for all to use. The components of which superseded all prior by the evolution of what we created in 2016/2017 with NinjaTrader 7 – while NinjaTrader 8 was being forged by the relentlessly dedicated NinjaTrader development team. So this was good news, a change of model to free our time from support and 1000s of free users of our trading frameworks which held us back in the past , free from constriction, out of touch trading skills & direction of the vendor agreements, we have now we have taken the trading systems indicators and automatic trade management modules to a far simpler and higher professional level, to create the highest level of precision trend trading signal indicators ever evolved at MicroTrends as used by myself in swing trading in my hedge fund trading role as head of algorithmic trading at CPC – and then enhance them for day trading in a collaboration with the newly formed AlgoFuturesTrader brand, the focus for small account traders to use the aim to assist their trading goals and consistency. Thus the stock index, oil futures day trading system was ready and so the next step was to put it in the hands of active “Real Traders for a closed shop trial out. 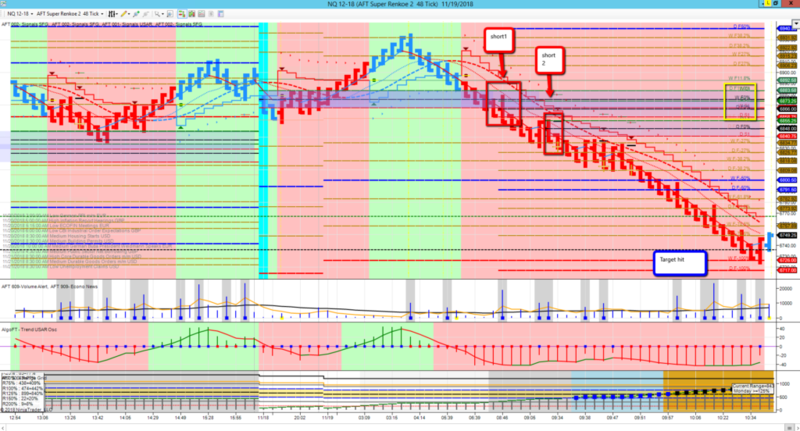 I didn’t want to take the route where my methodologies and trading components are splashed in forums and the NinjaTrader EcoSystem webinars, stack it high and show the best case trading scenario to take advantage of traders desires for riches, for all to plunder and the Indicator stores to try sell knock off copies – this was going to be a different offering, it had to work and it was going to be for vetted real deal traders only – a closed shop protected from the best summed up “chaos and plagiarist fraud of the retail trading community brokers and vendors and gun fodder fear and greed fed traders”. This product is for limited distribution for the real deal end use traders, not the 80%, the 20% only… real trading system for real traders – no knock off vendors allowed. Note: “Real Traders” who actively trade and operate the project, we are not talking about mere software peddlers past their sell by date we are talking real traders using professional trading systems exclusive to NinjaTrader. So the system usage and feedback period improved more all round as it was live trading battled tested and viability confirmed over a year in 2018 of live trading under wraps to a small group of traders. 2019 arrived and now we are ready to announce this to all people who use and trade the NinjaTrader platform with the benefit of a new lighter weight trading system – with real trade coaching and mentoring by real money traders — they really do trade – manually controlling the entry and allowing the fully automatic trade manager to take over and use intelligent adaptive trade management proprietary exits for the highest potential and least emotion – in short our best NinjaTrader Trading System with the best people to date. NinjaTrader 8 trade platform – is simply a fantastic platform and light years ahead of the now phasing out NinjaTrader 7 trade platform. 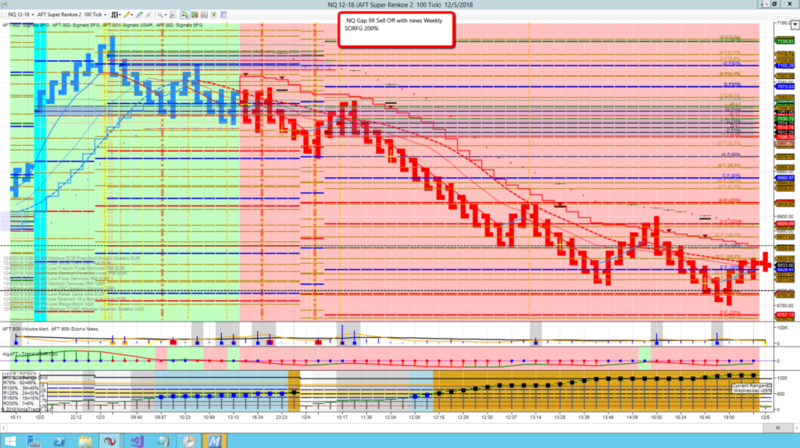 So we are now porting AFT Day Trading System to a NinjaTrader 8 futures day trading system. It has proven itself from the components in NinjaTrader 7 and the trading group who used it in 2017/2018, so this product will be now more visible and offered to suitable traders – available only to those with the correct capital, experience, mindset and if they are of suitable aptitude during the vetting process. So in summary, essentially we took the components i used swing trading the futures markets with the hedge fund i trade and implement systems at ClearPoint Capital and the cream of our proprietary retail trend trading components enjoyed by our white-label products & were able to merge the techniques and technical trading methodologies with our new partner’s day trading approaches of price action and Fibonacci expertise “Carlos Diaz” – and AFT was born… “Algo Futures Trader” A lightweight non bloated purpose built professional day trading Emini futures and oil day traders! In using this website or products & services you are bound by our Terms & subject to UK legal jurisdiction only, errors & omissions excluded. Disclaimer Trading & investment carry a high level of risk & MicroTrends® does not make any recommendations for buying or selling any financial instruments. We do not offer trading or investment advice. We are a software company & we only offer educational information on ways to use our sophisticated MicroTrends trading tools. It is up to our customers & other readers to make their own trading & investment decisions or to consult with a registered investment advisor. Risk Disclosure Futures, CFDs & forex trading contains substantial risk & is not for every investor. An investor could potentially lose all or more than the initial investment. Risk capital is money that can be lost without jeopardizing ones’ financial security or life style. Only risk capital should be used for trading & only those with sufficient risk capital should consider trading. Past performance is not necessarily indicative of future results. Please read the full risk disclosure here. Hypothetical performance results have many inherent limitations, some of which are described below. No representation is being made that any account will or is likely to achieve profits or losses similar to those shown; in fact, there are frequently sharp differences between hypothetical performance results & the actual results subsequently achieved by any particular trading program. One of the limitations of hypothetical performance results is that they are generally prepared with the benefit of hindsight. In addition, hypothetical trading does not involve financial risk, & no hypothetical trading record can completely account for the impact of financial risk of actual trading. for example, the ability to withstand losses or to adhere to a particular trading program in spite of trading losses are material points which can also adversely affect actual trading results. There are numerous other factors related to the markets in general or to the implementation of any specific trading program which cannot be fully accounted for in the preparation of hypothetical performance results & all which can adversely affect trading results. Testimonials appearing on this website may not be representative of other clients or customers & is not a guarantee of future performance or success. NinjaTrader® is a registered trademark of NinjaTrader Group,LLC. No NinjaTrader company has any affiliation with the owner, developer, or provider of the products or services described herein, or any interest, ownership or otherwise, in any such product or service, or endorses, recommends or approves any such product or service. MicroTrends® is a registered trademark of MicroTrends Ltd.
MICROTRENDS LIMITED is a company registered in England & Wales. Registered number: 5704475. Registered office: Kemp House, 152 – 160 City Road, London, EC1V 2NX, England, UK.